Welcome to my bloggy, hope you like makeup and stuff ;) Aside from doing makeup looks and cosmetics reviews, I'm also into other beauty related topics such as hair care, nails, accessories and fashion. I haven't yet swayed too far from maquillage, but I'm planning on "diversifying", so please let me know what you'd like to see on here. I'm eager to share and also to learn from each and every one of you!! 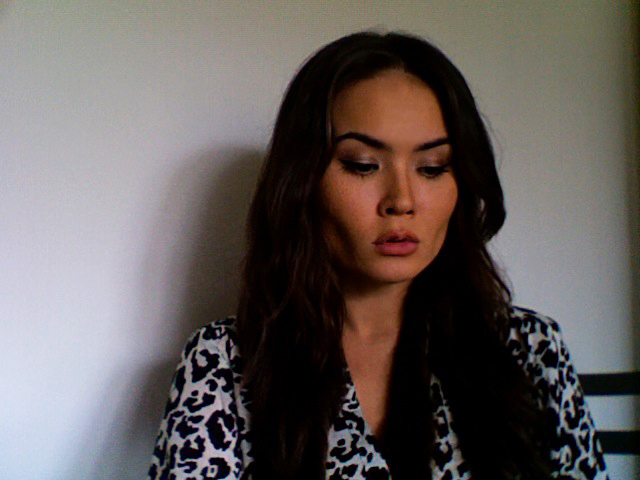 Having said that, my maquillage du jour is inspired by my Leopard top that I recently bought from H&M... 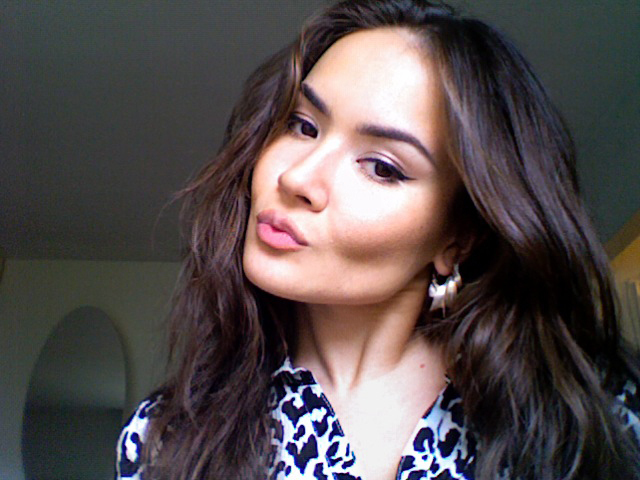 Given that I am from Russia, I love all things leopard, regardless of how tacky they may be. Take that Ilan (my French bff who loathes leopard) Pow! 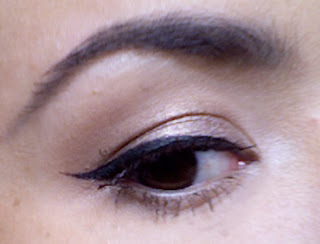 The EYE look: I wanted to do an exaggerated, but still wearable cat eye liner, so I followed the natural curve of my top lash line and extended the wing towards my eyebrow. On my lids, I'm wearing Urban Decay Underground shadow, Buck and Natural on the crease, and Virgin in my inner tear duct and as a highlight under the brow. I applied L'Oréal Voluminous mascara in Carbon Black to my top and bottom lashes and topped them with LA Splash mascara in Bohemian Nights (deep bronze). Can't see it so much in the pictures, but it's there, and makes a big difference in person. I have asian eyes and I find that emphasizing them with an exaggerated liner is the most flattering. I try to keep the line very thin in the inner portion and thicker in the outer portion, to create a lift for a quintessential cat eye. How do you enhance your eye shape? 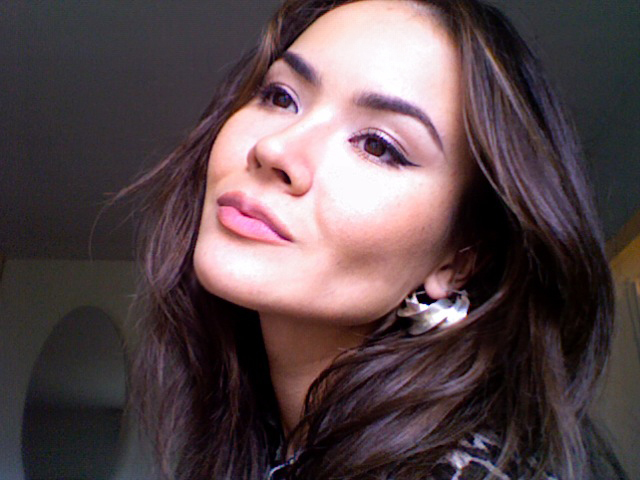 I love my earrings with this maquillage, because they're equally sleek and angular. These are African Fulani (Guinea) silver twist earrings and are a wearable version of the tribal ones. J'adore these earrings, they are my prized possession! Hey Maryam, you don't need makeup.....You need a MIRACLE !!!! You are the best, do not care about the rest!!! The winged liner suits you! 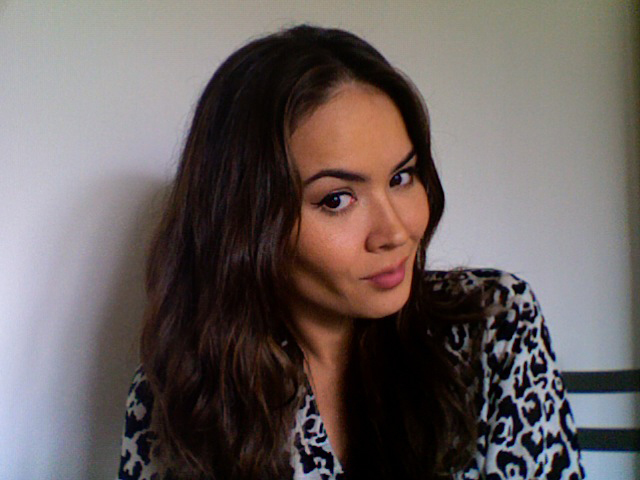 The leopard top looks great, esp. paired with the makeup and hoops, yay! You look so stunning, as usual. And you are absolutely the QuEEN of the cat eye. PS: LOL at the Russian and Leopard print thing. I'm originally from Armenia so every time I go back there the women there are all into their Leopard prints too. I love it! i can not spell for shxt ... reason for deleting my comment ...now reposting...lol wow ... your face is so beautiful... where do you get them cheeks from lol i love em? i really like eye liner but i am not to good at putting it on lol... yours looks great!! оживленная женщина с бесценный жемчуг и алмазов. Вы также женщина турка. Вам не нужен состав, вы как раз нужно чудо. Please please teach me how to do a cat line?!!! beautiful :')! I love the waves in your hair! Omg you should do a tutorial on how you do your winged eyeliner! i love the way that you use the eyeliner !! I LOVE leopard & I must say, your eyebrows are GREAT! Lovely makeup!